MUCH ADO ABOUT STUFFING: Cape Gooseberries? Ground Cherries? 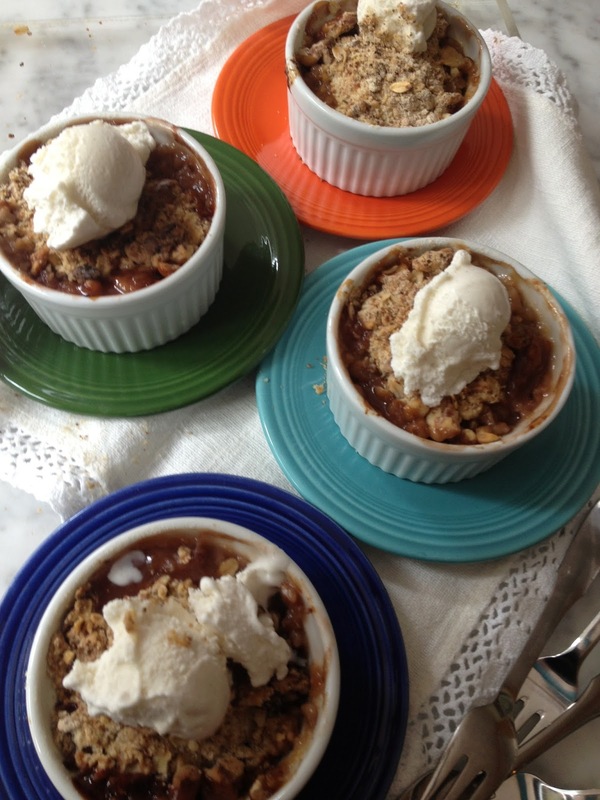 How about a Crumble? Do you recognize this fruit? 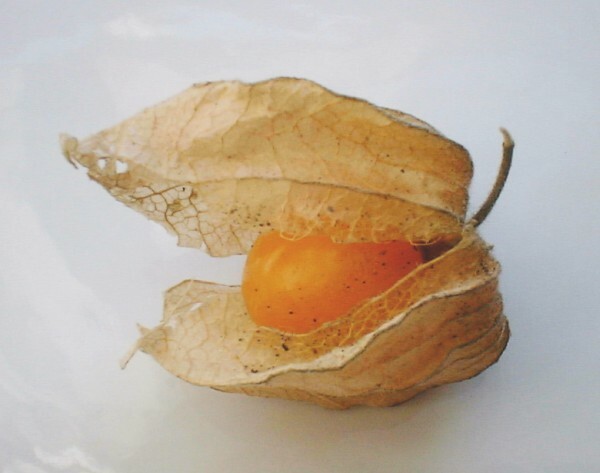 The botanical name is "Physalis" , some people call them Ground Cherries, or Cape Gooseberries. In any case, I have a TON of them in my garden, and therefore you might see some in your CSA, or in the Farmers' Market this week. They are delicious for snacking, make a terrific "new fruit" for Rosh Hashana, a great addition to any tomato salad, but in this dessert, paired with fresh apples they have a chance to toot their own tasty horn. Put the chunked apples and the blueberries in a saucepan with the orange juice and cook until apples are soft. Stir in gooseberries, and cook for about a minute. Rub flour and butter together, add other ingredients and mix until crumbly. Divide the fruit mixture into 4 individual baking dishes. Top with the crumb mixture. Bake for about 40 minutes till bubbly and done. If they are browning too quickly, reduce heat and place a sheet of foil loosely over the ramekins.